Compare at $16475 - Our Price is just $15995! A modern SUV with a traditional boxy shape, the GMC Terrain has the versatility you need and the refinement you want. 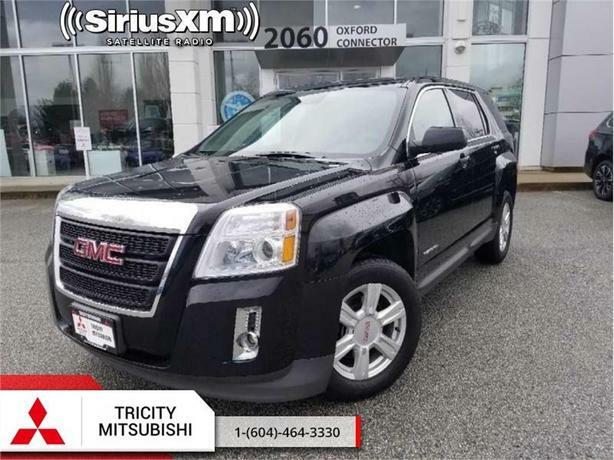 This 2015 GMC Terrain is for sale today in Port Coquitlam. The 2015 GMC Terrain is a compact crossover SUV that is spacious, comfortable, and offers both the power and performance you're looking for. Its rugged exterior styling looks the part of the GMC family and the roomy interior offers luxury touches and room for five. Passenger and driver alike will appreciate the quiet cabin of the GMC Terrain. With a rugged, yet classy exterior and a comfortable, high-tech interior, the GMC Terrain is a premium compact SUV without a premium price tag. This SUV has 126006 kms. It's black in colour and is completely accident free based on the CarProof Report. It has a 6 speed auto transmission and is powered by a 2.4L 4 Cylinder Engine. This vehicle also has the following features: Bluetooth, Rear View Camera, Onstar, Siriusxm, Aluminum Wheels. It has some remaining factory warranty for added peace of mind. Our Terrain's trim level is SLE. Our SLE-1 offers practically refined interior with comfort and cargo space to spare. Features include halogen fog lamps, 6-speaker audio system, 7-in diagonal color touchscreen display, cloth front bucket seats, remote keyless entry, rear vision camera, OnStar, Bluetooth, SiriusXM, inside rearview auto-dimming mirrors, and 17-in aluminum wheels.